Welcome to Day 11 of our 12 Days of Children’s Books Gala Giveaway. I’m part of an amazing group of writer friends who specialize in writing engaging nonfiction for kids. We’re the Nonfiction Ninjas! Each day for for 11 days we are offering you the chance to win a free children’s book. Great for your little ones, for the classroom, for homeschooling families, and for libraries everywhere, these books are AWESOME! And they’re written by these talented gals I’m fortunate to know as my writing buddies. Hip hip hooray for today’s featured book in our 12 Days of Children’s Books Gala Giveaway! One of you will be our winner for today and will be receiving a free copy of this brand new heart-warming picture book in your mailbox. Lisa, thanks so much for visiting my blog today and offering readers the chance to win a copy of your brand new beautiful children’s book. Lisa, can you share with us what your book is about? Finding a Dove for Gramps is a story about a boy and his mom who take part in the Christmas Bird Count (the CBC), an annual citizen science project sponsored by the Audubon Society. The child wants to find a dove for Gramps, who wasn’t able to come along this year. Back matter includes information about the CBC and a checklist of birds, many of which are pictured in the book. I’ve always loved watching birds and learning their names. My entomologist father often took my brothers and me along on hikes to look for bugs, snakes, birds, etc. I remember tagging along with him on a bird count, and it made a big impression on me. I still enjoy bird hikes and other nature-related events, and love sharing them with my own children. What do you hope children take away from your book? I hope the story will introduce young readers to birding and encourage them to get involved in citizen science projects like the Christmas Bird Count, the Great Backyard Bird Count, and others. You don’t have to be a scientist to participate, and the data collected is very valuable to scientists in tracking bird populations over time as well as the effects of climate change and other environmental issues. Thanks, Lisa, for visiting my blog today. It was great to hear more of the “story behind the story”! Post a comment here on my blog. We’d love to hear about a family tradition you share at this time of year with your little ones. Or even better–if you’ve ever participated in a Christmas Bird Count, share with us what that experience was like! Be sure to stop back here on my blog tomorrow for Day 12, the final day of our Gala Giveaway. 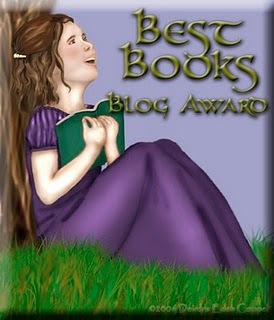 We’ll announce the winners of all 11 picture books, here on my blog. I hope you’ll be one of them! But hey…why wait until the giveaway is over to get your hands on this children’s book? It’s great for holiday or birthday giving and perfect for your family to read together. CLICK HERE to buy it today on Amazon or at your favorite online bookstores! I’ve never participated in a CBC, but we have a few Christmas traditions. I think the traditions make the holiday feel like home, which is a wonderful thing when home changes every two years. This year our larger family is thousands of miles away. My favorite tradition is creating Christmas ornaments. Every year we decide as a family what kind of Christmas ornament we want to make, collect all the supplies (from the store, from nature, from our recycle bin, or art closet), and spend an entire afternoon crafting homemade ornaments that we send to our family. We save one that goes up on our own Christmas tree. It is heart-warming to think that even though we are far away from the rest of our loved ones, our trees are all dressed in the same decorations, and it makes us feel a little more connected. I really connected with your tradition since my family is so far away, too, for so many of them. Thanks for inspiring us all! And wouldn’t it be fun to add a CBC to your list of new traditions? Spending time with family and everyone cooking their best dish! Sounds yummy and fun!!!! Thanks for sharing and for being part of our giveaway! Can’t wait to read this book–I recently introduced my friend’s son to birding and he loves the field guide and binoculars I bought for him! Congrats on your new book, Lisa. Yes, great big congratulations, Lisa, on such a wonderful new book that will inspire us all to go out and look for birds! It is so neat how I personally know many of these fine authors. Another good one today. Lisa is talented and very generous with her time. Yes, Lisa is so wonderful and precious. And so are her books. Thanks, Sherri, for joining in our event! Ev, I love how your kiddos memorized this passage. New inspiration for us with grandkids and with little ones. Thanks for sharing!!!! I remember taking our kids to a nearby forest preserve one winter’s day to search for discarded deer antlers. Since they are food for wildlife, we never uncovered one. But it was fun to be out in nature, nonetheless! Congrats on your book, Lisa! Deer antlers?! What a great idea! I’ll have to add this to going on a CBC like Lisa says in her beautiful book. What a wonderful book! I’ll be adding it to my grandchildren’s home library. They love looking at a bird-identification app on my iPad and listening to the birds’ calls with me. At ages 5 and 7, they can remember and imitate quite a few calls. This lovely book will be perfect for them. So glad you’ll be adding this to your family’s personal library. I want to add it to ours and also as a gift to my sister who does this every year near her home. I love watching the birds out my kitchen window as they land on a nearby fence to say good morning. “Finding a Dove for Gramps” sounds fascinating! I look forward to reading it. Love how your bird friends greet you each morning. Thanks for sharing in our giveaway! I can’t wait to read this book. It’s funny – I’d never heard of this bird count tradition, but in the last couple weeks, I’ve heard about it several times. I’ve now gone to the website and read all about it! So cool! Maybe Lisa’s book is helping to spread the word!!!! I’ve been doing the GBYBC for many years, but plan to join the CBC this year too! Looking forward to reading this story! Yay! I want to do it too! Love watching the birds in my backyard. In fact, just this morning, my friend called, and while we were on the phone she was telling me about a new bird to her feeder…a cute little gray one with white belly and tuft. I said, “maybe tufted titmouse.” She looked for it in her bird book, and sure enough! Love anything you write, Lisa Amstutz! Thanks, for the chance to win this one, Nancy I. Sanders. Such a cutie!!! Those are some of my favorite birds. Giving away books – what a wonderful thing to do! I love giving them as gifts for Christmas to young and old! That’s one of the best traditions ever!!!! I am excited to do the count with my kids this year. I had just heard about the count this summer. As for traditions, we used to take our dog to the dog part on Christmas. Until the year she decided to chase ducks into the icy water. Ha ha ha…so funny! Thanks for sharing! We read a picture book together every night and I always buy a new one to add our collection each year. I think my daughter would love this book. Actually, I think I would love this book! I’ve always been intrigued by the CBC, but have never participated. What a neat way to inspire kids (and adults like me) to get involved in citizen science! Finding a Dove for Gramps looks wonderful! Such a sweet way to let kids know about the Christmas Bird Count. Our family participates each year. Last year we went to the Sierra Foothills, the year before found us on a Central California beach. This year we will be looking for birds in Costa Rica! Wish I could come with you! Sounds amazing! I’ve loved reading all of your comments here – thanks for taking time to read and share!